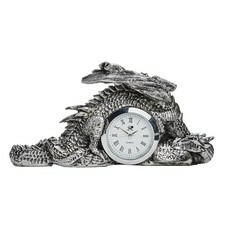 The spectacular time dragon, sleeps his timeless guard upon an engraved stone that reads 'time, greatest of treasures'. 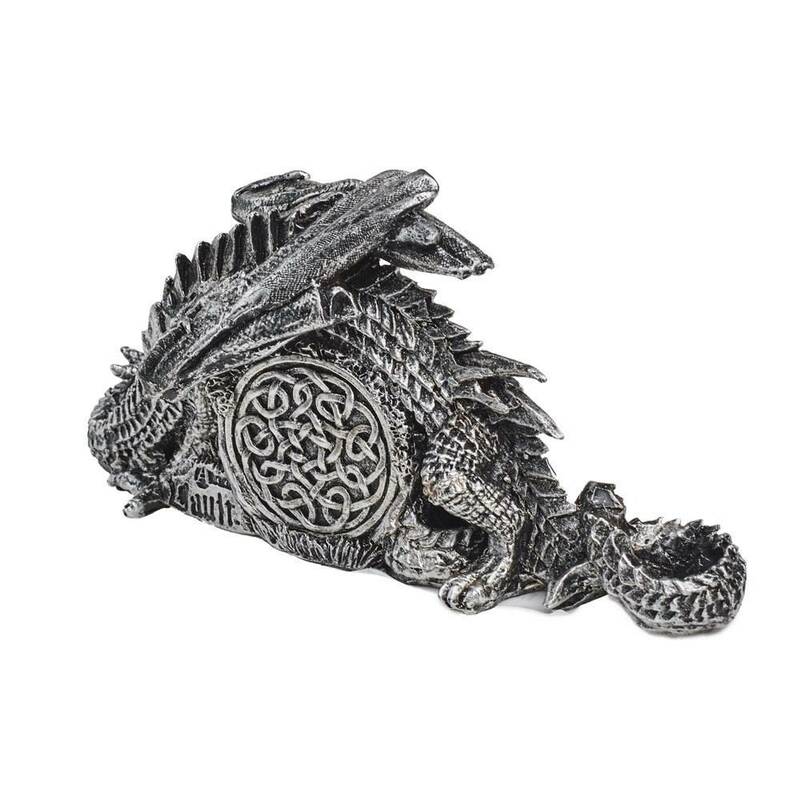 Cast resin dragon figurative piece is painted metallic silver and darkened for detail. Clock operates with one AA battery.